Where I live now, in northern Illinois, there is only one normally occurring species of vulture: the Turkey Vulture. I see these birds flying on thermals quite often here in Lake County during the summer. In honor of International Vulture Awareness Day, taking place on Saturday, September 5th, I’ve been thinking about all the vultures I’ve had the privilege to see. These are the eight species of vulture on my life list, in random order. I saw this bird on a week-long trip to the Gambia in January 2007. My husband and I spent 4 days with some very experienced birders from Finland, with whom we shared our Gambian guide. We were totally out of our league with these guys, who had spent months before the trip preparing, learning the calls of the local birds and practically memorizing their Gambian field guides. We had a great time and tried our best to stay the heck out of their way. 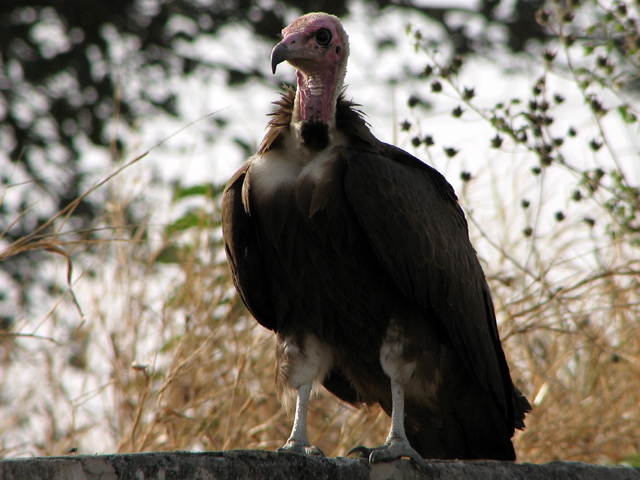 Unfortunately this is the one vulture on my life list of which I have no photo. The Turkey Vultures I see here seem to love flying, because that’s all I ever see them doing. When I’ve seen these birds in Florida, it was a different story. There, TVs seem to be everywhere, hanging out in groups along the roadside or in open spaces in nature preserves. 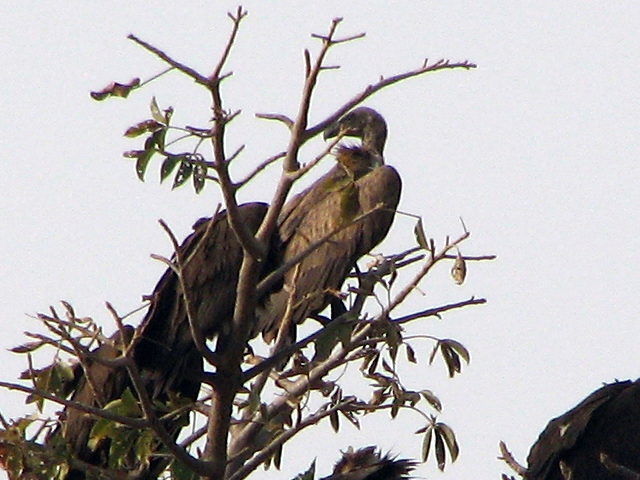 This is another vulture we saw in the Gambia. I’m embarrassed to admit I don’t remember the circumstances under which we spotted this extremely striking bird. Yes, the trip was a bit wasted on us – there was a lot of running around and nodding as we looked at the birds that were pointed out to us. We would have a different experience making the same trip today, that’s for sure. 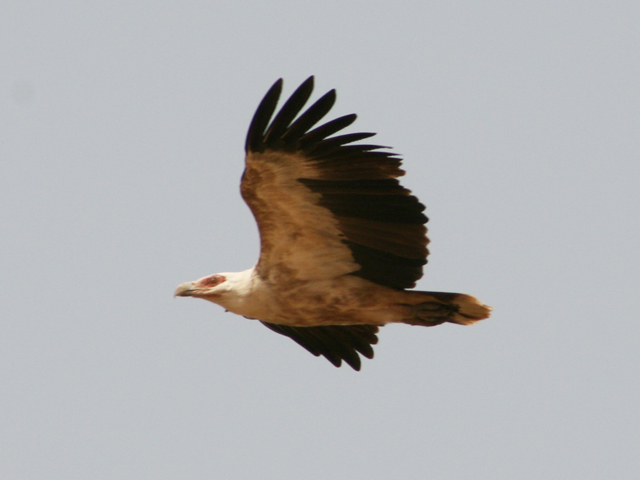 Another beautiful vulture we saw in the Gambia, near Tendaba. Unfortunately I cannot remember much about this sighting either. 🙁 Shame on me! My second North American vulture is another Florida favorite. These guys also seem to hang out nearly everywhere we’ve been. 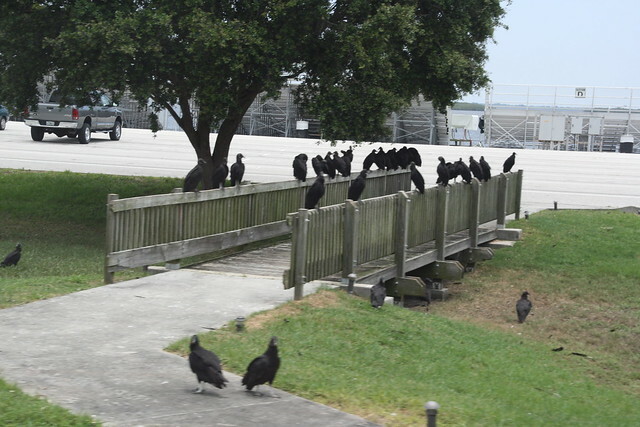 On our last visit to Florida in June we spotted this large group milling about at NASA. This is another bird I spotted in India. This photo was taken in Jodhpur but we also saw these birds on several other occasions during the trip. Another Gambia bird! This time I remember exactly where we were when we found this lovely. Our hotel in the coastal resort area was a short walk from the beach. The walk took us down a sand-covered alley between the backs of several other resorts, and there was trash everywhere. Besides this bird we also saw Cattle Egrets feeding on the piles of garbage and a few unlikely birds like Red-cheeked Cordonbleus and Red-billed Firefinches. 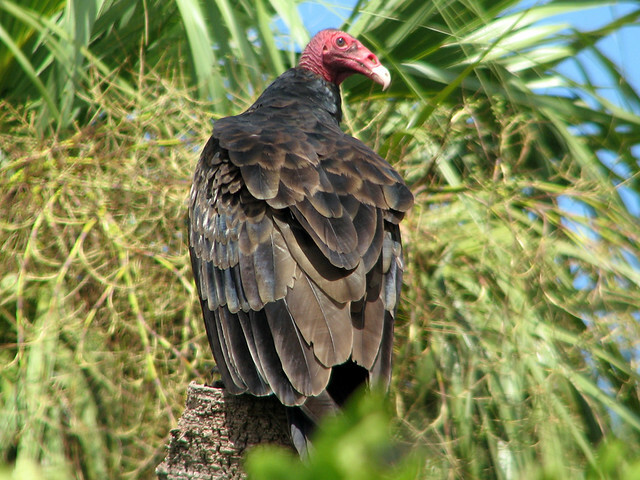 What vultures are on your life list? I’d love to hear about them, so please leave a comment! 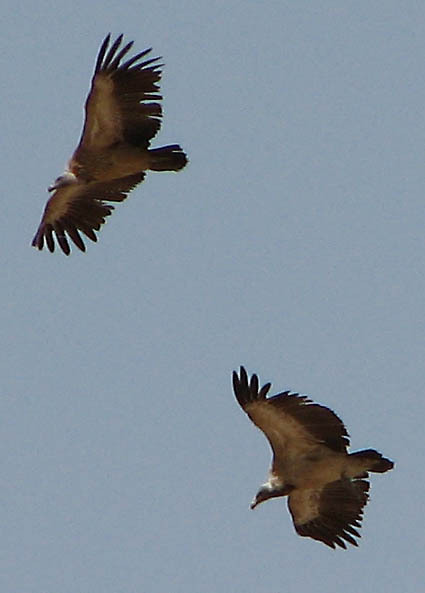 This post is participating in the International Vulture Awareness Day 2009 Blog for Vultures. You can click on the badge below to see the other participants in this meme. This entry was posted in Festivals & Events, Florida, Gambia, India. Bookmark the permalink. 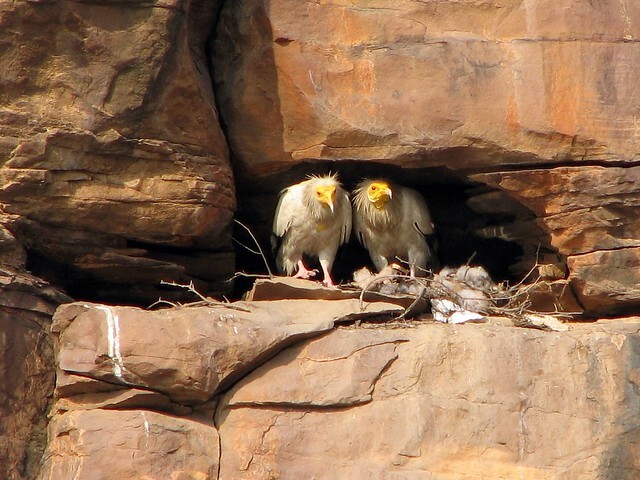 Lucky you to see so many vultures and take pictures (especially like the Egyptian vulture – handsome bird). I’m ashamed to say I must have passed many Gyps species in India and Nepal in the 80s and early 90s and never thought about them. And then they started disappearing. Wow, you’ve seen so many Amy. I’ve seen White-backed, Lappet-faced and Hooded. Nice series, Amy. I love reading reminiscences of life birds. 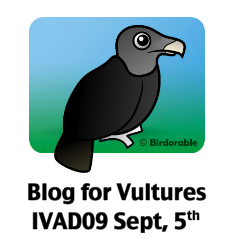 I’ve got three New World vultures on my list but not a single one from the Old World… yet. I just have Turkey and Black on my list, and have no recollection of the first time I saw either one. Great post with excellent photos Amy! It is amazing what we miss as we go through our day to day lives isn’t it? I have only two of the three North American vultures, the Black-headed and the Turkey Vulture. Someday I hope to travel to foreign lands, specifically to see birds. Right now, there are many environmental concerns to deal with right here in the good old USA.